A little over two years ago, seeing fascism and white supremacy on the rise due to the election of 45 and recognizing that the DNC held as much blame for this outcome as bigotry did by undemocratically pushing a toxic and unpopular candidate with no hopes of winning on the American electorate, I decided I must try to change the Democratic Party from within. So I showed up one December night to a meeting of the DeKalb County Democratic Party that was even more dysfunctional and unorganized than I had expected. Luckily, I was not alone in recognizing the crisis taking place within the Democratic Party. Amid the throngs of desperate yet determined citizens were two comrades who, with myself and others, would spend the next two years trying to turn what had become a dysfunctional social club into an organization that could fight against fascism in DeKalb Co., Georgia, and at the national level. While it sometimes felt like our efforts were as effective as banging our heads against the wall to affect change, the three of us quickly worked our way onto the Steering Committee, the executive body, of the county party and tirelessly worked to create a functional party that would both represent and be able to fight for the progressive views of the people and not the elitist views of the party leaders of the DPG and DNC. Two years later we are starting to see our hard work paying off. Not only were we recently able to unseat Republicans from various GA State House and Senate seats which they had held for years, as well as flipping Newt Gringrich’s old seat in the 6th Congressional District, we did so by first defeating centrist Democrats in many of the primaries, proving that left and progressive policies and candidates are better able to defeat Republicans than milquetoast, centrist liberals are. Then last night another victory came for socialism within the Democratic Party. 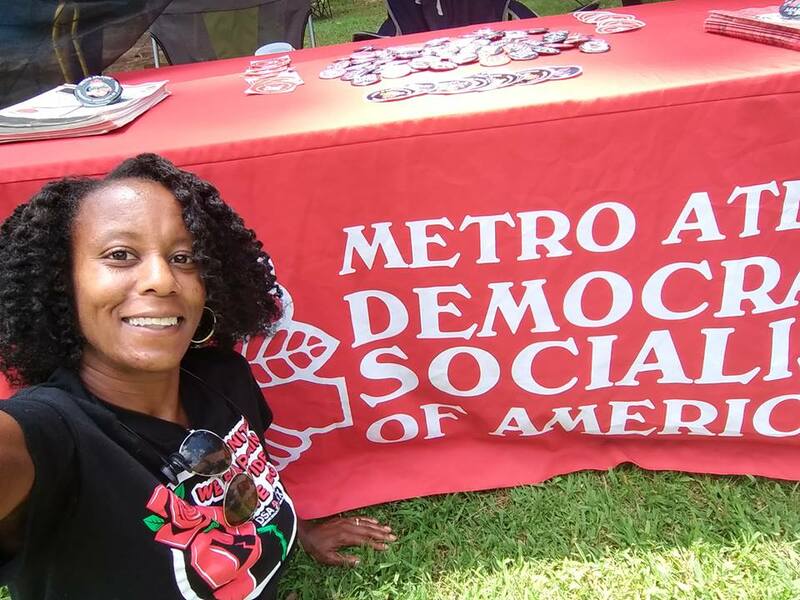 The DeKalb Democratic Party elected the two comrades I mentioned above, DSA member Karen Mixon (who was also elected in December as 1st vice chair of DeKalb Democrats) and Metro Atlanta DSA Chair Erin Parks, to the Democratic Party of Georgia State Committee. This was after a rousing speech given by comrade Erin telling those present that the Democratic Party needed us socialists and our policies to remain a viable party and to continue our victories against the increasingly fascist Republican Party. This is a huge victory because it is the State Committee that will be writing the party platform for the DPG along with its other duties. We will now have voices within the DPG to push for a party platform that will reflect our values through policies such as Medicare for All, a $15 minimum wage, green energy, and significant criminal justice reform, to name only a few. While there is no guarantee that we will achieve all that we want to in the immediate future, one thing is certain; the Democratic Party of Georgia will not be able to ignore the socialist voices in its midst. We will be heard and we will win. Solidarity Forever!